‘Shop Bahrain’ Organising Committee, the largest nationwide event, announced their preparations for the festival’s Grand Raffle Draw that will be held on Saturday, 23 January 2016 at the ‘VIVA Shop & Skate’, located at Al A’ali Shopping Complex. This event will mark the end of a month filled with exciting events and activities. “We ensured securing the grand prize till the end of the festival, and we are thrilled to announce that the prize comprises of two Lincoln cars, two luxury watches, and a trip for two which will be won by one lucky shopper.” said ‘Shop Bahrain’ Project Director, Nawaf Al Koheji. “We would like to express our gratitude and appreciation to all our partners who supported the festival and played an integral part in its success during the past month. We would also like to thank our grand prize partners American Express Middle East and YK Almoayed,” he added. The Grand Raffle event will commence with fun activities for kids and families and an interactive general questions session about Bahrain and the festival, which will include instant prizes, followed by a live performance featuring the Bahraini singer, Khalid Fouad at 8.00pm. The Grand Raffle Draw will then be held at 10:00pm in the presence of a representative from the Ministry of Industry, Commerce and Tourism along with ‘Shop Bahrain’ management and the audience. The grand draw will include shoppers from all the three categories – gold, silver and bronze. 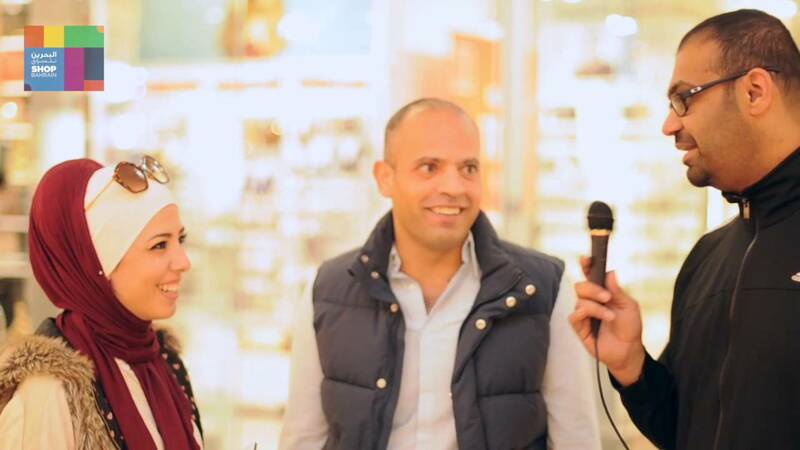 Till date ‘Shop Bahrain’ has held three weekly raffle draws with plenty of shoppers taking part from Bahrain and across the Gulf region who have won valuable prizes that includes cars, gold coins, air tickets, and electronic devices. The raffle draws that were held were accompanied by Laiwa and Jerba entertainment segments. Also, VIVA Shop & Skate will be running until January 23rd and is open from 4pm to 10pm during weekdays and 4pm to midnight during weekends. The venue also includes a market promoting local businesses. The ‘Reverse Bungee Jump’ activity will continue until January 23rd at Al A’ali Commercial Complex in addition to Enma Mall that will host a Kids Cinema between the 21st and 23rd of January from 10am to 10pm. For more information, please visit the Shop Bahrain website on www.shopbahrain.com or the call centre on 17000710.